Entrepreneurs often struggle when they start doing cold-calls. They hate calling others to drum up business and they’re not good at it either. Their approach is too timid and they give up too soon when they encounter resistance. They don’t manage objections well. And they don’t bring home the bacon at the end. One of the guys on our team had this problem which was strange, because he was an audacious, bold and outgoing person. But tell him to sell on the phone, and he turned into a frightened little chicken. The cause was obvious: fear of failure. He was scared of rejection. We both knew it. He also rationally understood that this fear did not serve a positive purpose, yet, he was stuck in it. How could we get him unstuck? How could we shake him up and change his state? I decided to challenge him with a new task. “Fail with every call!” For the rest of the day, he should call people and make them hang up on him. His mission was to fail miserably. To make it more fun, I told him fail in a different way with each call. “Start with speaking painfully slow and unenthusiastic”, I told him. Our little coaching conversation had turned into the center of attention in the office. Everyone on our team was looking at him when he made the first call. His discomfort was obvious. But he played along. Each… word… spoken… sloooowwwwlyyy… with… excruciatingly… looong… silent… pauses… in between. Painful. Everyone in the office had to tap into the core of our brains self-control center not to burst out laughing. But there was no holding back once the other person hung up on him. The whole office was going crazy, including him. After ten of these calls the atmosphere in the whole room had totally changed. Suddenly he was a different person. Total transformation of energy: fearless and unstoppable. A relentless machine. Not a new insight. He already knew that it was just fear holding him back. But he had now transferred that insight from a logical, rational level into an instinctive insight. He had emotionally internalized what he knew mentally by making failure real. And that led to the breakthrough in his behavior. Use this technique with if you ever feel anxious about cold calling (or use it to help a colleague). Address the issue and verbalize it. 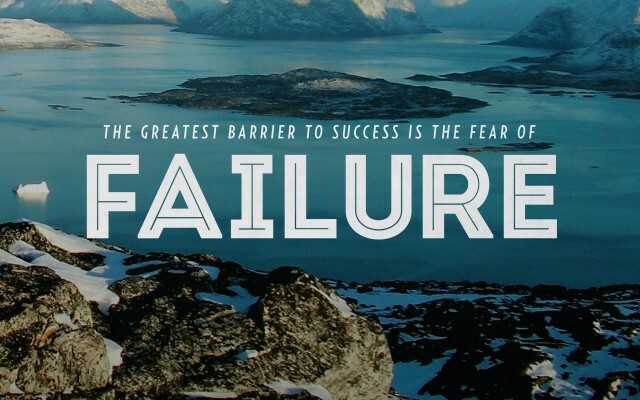 Instead of trying to avoid failure, aim for failure. Be creative about different ways to successfully achieve failure. Have fun and be silly. It will unlock the secret vault of sales power deep inside of you. Now crush it and see how you can perform once you aim for success. Steli is the co-founder and CEO of Close.io, a sales CRM for startups and SMBs. Sales people love the built-in calling and email synchronization. Make and receive calls while taking notes tied to each address book contact — all without leaving the application. Waste less time on manual data-entry, and spend more time closing deals.